Now booking 2019 & 2020 Wedding Dates! Botanica Flowers is a Columbus, Ohio based full-service event florist. 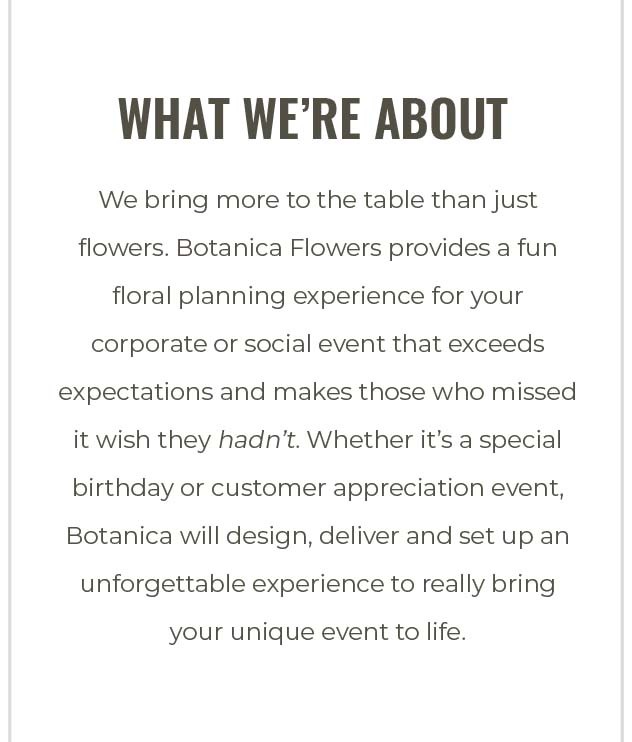 Whether you are planning a corporate event or another type of social event, the Botanica team can assist you in selecting flowers that will accommodate your event and budget needs. Botanica flowers is the wedding & events division of Flowerama Columbus. Our team of creatives introduced the Botanica brand to focus solely on wedding and special event flowers in Columbus, OH. "Attention to detail, attention to follow up, and attention to follow thru are important. But most important thing is attention to your vision. "